Having some guests over for Christmas for some drinks? This is the perfect thing to serve with Christmas Apetitizers! It would really go well with Cheese and Salami or Meat platters! It might look difficult but it is so easy to make! All you need is a polystyrene cone which you can buy from craft stores! Put the olives in a bowl, drizzle with olive oil, sprinkle with seasonings and chilli flakes and give it a good stir. This will make the olives look really shiny! Choose your serving dish and place the polystrene cone in the middle of it. 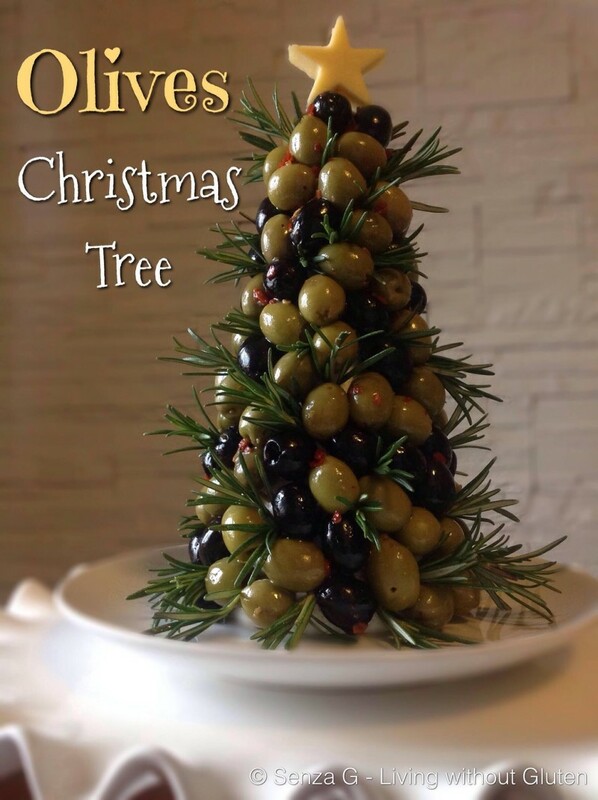 All you need to do is start placing the toothpicks in the cone and then sticking the olives at the end. Keep adding until the cone is entirely covered with olives. You only need to keep alternating olives, but there is no uniformity otherwise. Now take little sprigs of rosemary and stuff these in those spots where the white cone might still show through. Finally cut the star out of cheddar and using a toothpick place it on top of the tree. There, all finished!